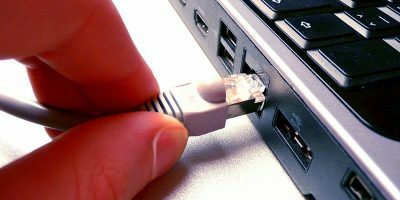 With a stable Internet connection, you can easily share files with others either via email, Dropbox or any other file sharing services website out there. 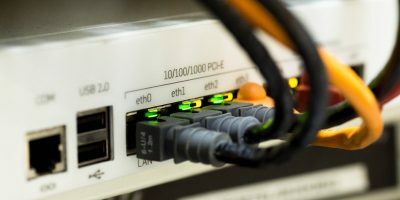 However, what if you are in local network with no Internet access, or you just want to quickly send a file over to another computer without having it to go to the web and back? In such situation, NitroShare is the one for you. 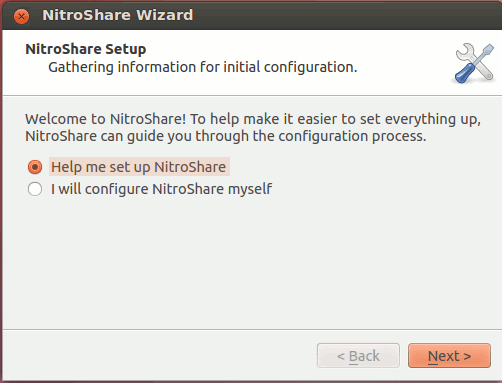 NitroShare is a good file sharing app for the local network and it works with all the common OSes, including Windows, Mac and Linux. 1. 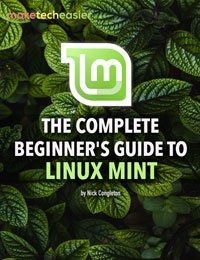 Go to the NitroShare Launchpad site and download the version for your OS and architecture. 2. 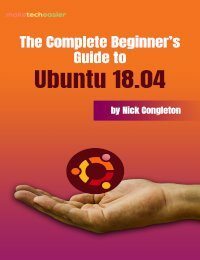 Run the installer on your computer. 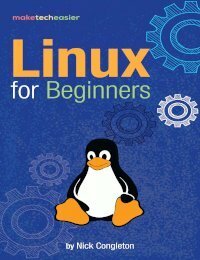 After the installation, it will prompt if you need help in setting up the application. 3. 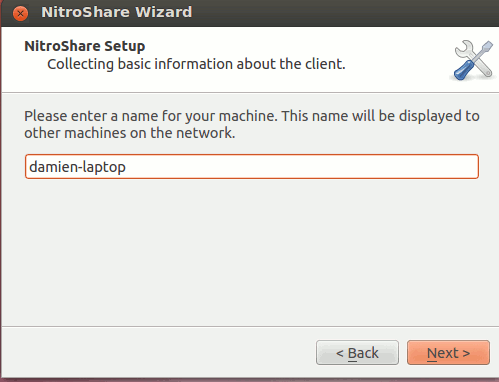 For the first part of the setup, you have to give your current PC a name so other computer running NitroShare can identity you. 4. 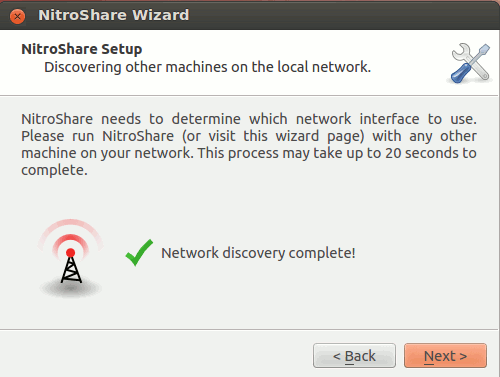 Lastly, NitroShare will scan your network for other machines running NitroShare and add it to its list. The process will take quite some time. That’s it for the setup. It is very easy and almost effortless. Once installed, you should see a widget (also known as the sharebox) on your desktop that allows you to drag and drop the files (that you want to share) onto it. The default sharebox is a generic one that doesn’t tie to any PC. If you are connected to many other PC, you can create a sharebox for each PC so when you drag and drop a file onto it, it will go directly to that PC instead of prompting you which PC to send the file to. Alternatively, you can also access the “Send File to” option from the appindicator to send files to other PC. 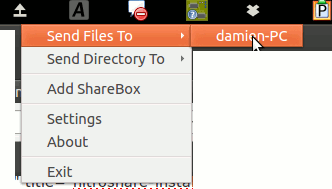 Note that NitroShare also allows you to drag and drop a folder of files into the widget. From the appindicator, you just have to select the “Send Directory to” option. 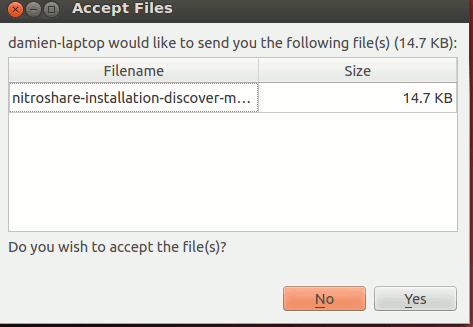 When you share a file, the other computer will show a notification to ask if you want to accept the file. Click “Yes”. In the Settings section, you can configure the location to store the accepted files and whether to compress them and calculate the checksum of the files to verify their integrity. You can also change the notification settings to notify you when new files are received or when an error has occurred. Lastly, for the security, you can configure it to automatically accept files when they match a certain regular expression, or always prompt before accepting files. 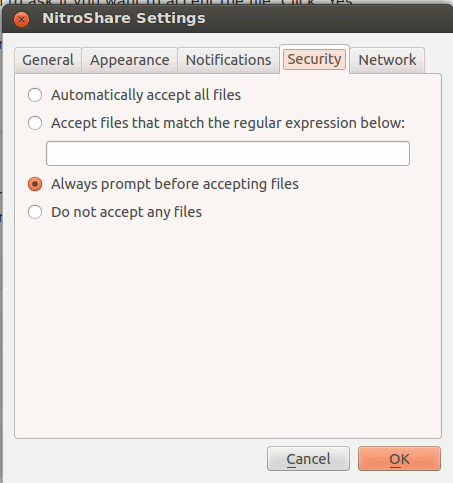 NitroShare is really a handy file sharing app for the local network. 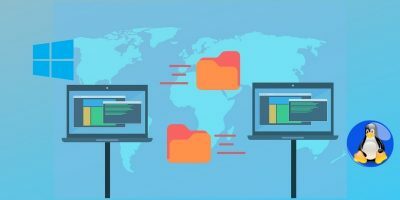 If you are in a restricted environment with little or not Internet connection, or you have multiple computers each running different OS, then NitroShare comes in handy to get the files/folders across the network. There are very little setup required and the drag-and-drop feature makes it very easy to use. Try it out and let us know if it is useful to you.